Thailand is a dynamic, creative, entrepreneurial emerging economy which is currently embracing technological innovation. I’m delighted that I’m due to be visiting Thailand to deliver a Masterclass in Digital Marketing for One Roof/ TDMA. There are 23.9 million Internet users in Thailand which represents 37% of the population. The world average is currently 39%. Marketers have been quick to notice this change and logically enough are considering how to engage with consumers (and indeed business people) using the new online (digital) channels. However, as in other developing countries, one major challenge for Thailand is providing the infrastructure; a key issue is how easily the non-urban population is able to connect to cabled internet. In fact, despite the improving availability of fibre broadband in Bangkok, only 7.8% of the Thai population is currently connected to broadband Internet. If we compare this to the total number of Internet users, currently around 37% of the population, it becomes clear that Thailand is all about mobile. A massive 80% of Thais using the Internet, are connecting via smartphones. In common with many of their neighbours in nearby countries, the average Thai has 1.49 devices (more than 100 million devices in total), with mobile growth rates of 5.41%. Interestingly, the vast majority (around 82 %) are pre-paid users. Most smartphones in Thailand are lower-priced labels manufactured in China, and GFK estimated that in 2013 Android devices were 70% of the total market share, against just 18 % only to iOS, So, price is clearly a major factor. Now let’s look at what they do while they’re online. Thais are ranked number one in Southeast Asia in terms of time spent online, with 27.2 hours a week (source: comScore). One thing the Thai people are not yet doing in big numbers on their mobiles is buying things. This still seems to be some time away. However globally this is changing with the emergence of ‘Buy’ buttons on websites including Google, Facebook and Pinterest; there is every reason to believe this trend will affect Thailand too. Next let’s consider the Thai digital economy. Despite the relatively low connectivity rates I mentioned earlier, the trends are upwards; more Thai people are using their mobile more of the time. Ecommerce is growing but Thai people still enjoy visiting physical shops. The National Statistical Office of Thailand has provided some statistics about ecommerce in Thailand, which showed that 61.9% of all e-commerce companies operate both an online shop and a standard retail shop. The main products sold by ecommerce in Thailand are travel (hotels/resorts and flights) with 24% of all business, next fashion and accessories with 23.3%, and then Computers and Electronic Appliances in third place.Thai people use social media like everyone else on the planet; for staying in touch, sharing, considering views and even asking for the opinions of other people. Most of us these days wouldn’t book a hotel without reading all the reviews available; fashion is all about what other people think; and when you’re looking for electric appliances of any sort you want reassurance that you won’t be making a mistake and will indeed get value for money, which all comes from reading reviews. In Thailand today, people use social media to speak to each other, browse products, and compare experiences before making a purchase decision. And once they do, they’re just as likely to visit a store in person as to purchase online. This means that retailers need to be offering a ‘clicks and mortar’ solution, not just ‘pure-play’ online. It appears that the average Thai’s online purchases are heavily influenced by what their friends are saying in their social networks. Marketing to social media users in Thailand has a familiar look to Western Marketers (more so than in some other Southeast Asian countries) as most of the social networks are the global ones: Facebook, Google+, Line, Instagram and Twitter being the most common networks. So marketers should create and maintain brand image via social media, apps, e-commerce, email marketing and blogs in order to engage your customers and drive sales (online or off-line). As stated above, it seems that Thai people like to have the choice of buying from physical shops or via e-commerce; the key for brands is to give them the choice. Digital media can support brands (B2C, B2B and NGOs) even in situations where the final transaction is completed offline. In Thailand brand owners need to seize the opportunity to engage the growing online user base (of all ages), while understanding that shopping is still a physical activity which a web presence can support and supplement. In her latest report, Mary Meeker of KPCB includes Thailand among the group of countries where the next influx of Internet users is likely to be currently using non-smart mobile phones; in other words, a large percentage of these people will simply upgrade their mobile device to a ‘connected’ smartphone. We Are Social reports that last year, Thailand saw impressive growth in social media: 2 million new accounts in the past 2 months mean the country’s Facebook population grew by almost 7% in 12 months. Ohad Hecht of Emarsys tells us that 80% of Thais using the Internet are doing so via mobile devices (and more specifically smartphones). So it is clear that the opportunities for digital marketing are all about mobile, including search, advertising, email, and increasingly m-commerce (ie. buying straight from one’s phone). More and more people in Thailand are getting online and spending more and more time there; Thai people going online for the first time are unlikely to be doing it via a desktop computer. In Thailand it’s all about mobile. Why are marketers interested in this trend? Well possibly because they’re geeks and they are just fascinated by the technology itself. However for most thinking marketers the real reason is that our customers are changing. If people are spending more time in front of a vertical screen (mobile device) then they may be spending less time in front of the TV, or reading newspapers and magazines. So they money may need to be moved. As brand owners, we need to consider how can most effectively engage with consumers on mobile devices. After all no-one checks Facebook or Instagram on their mobile hoping to hear updates from brands. As marketers, we have to find a way of interrupting to the user’s advantage; we only have seconds to convince them of this or our communications will be ignored. 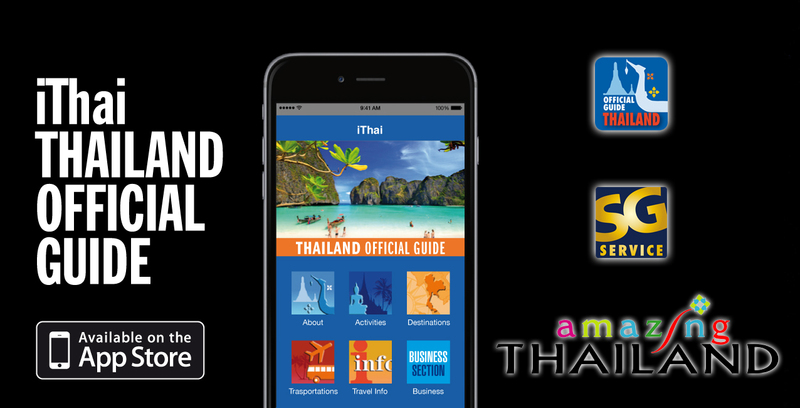 Doing this via mobile devices is the new challenge and opportunity for marketers in Thailand. Marketers shouldn’t forget that offline is still very important in Thailand so TV, print and outdoor should still be a major part of the media plan. After all, as of last year, only 39% of people in Thailand could even see your website! Of course we also need to look ahead and prepare for the future in order to seize opportunities as they come up. Given the growing importance of digital (or rather mobile), Marketers in Thailand certainly need to embrace the opportunities offered by the massive US tech brands (Facebook, Twitter, Instagram +++) but also local forums and portals e.g. Pantip and Sanook. In short, marketers must “fish where the fish are”! There may be learnings from the West which can provide guidance as to ‘Best Practice’. Moreover, I predict that as digital/ mobile marketing grows in Thailand, trends from Western markets including programmatic buying/selling of online display ads and also Affiliate (Performance) Marketing will take off in the coming years. I’m really looking forward to my forthcoming trip to Thailand and to meeting lots of creative and enthusiastic digital marketers who can share their success stories with me!